TALLAHASSEE–Sachs Media Group (SMG) today named five key executives as new partners, deepening the firm’s ability to serve its clients now and well into the future. Ron Sachs, Founder and CEO, and partner and President Michelle Ubben, said the partner additions will ensure that the 22-year-old company — consistently ranked among Florida’s and the nation’s top independent full-service public relations agencies – has the most qualified and prepared team in place to fuel SMG’s robust growth for decades to come. • Ryan Cohn, Executive Vice President. Cohn serves as a strategic advisor across many accounts and special projects, and leads digital media initiatives. • Karen Cyphers, PhD, Vice President of Research & Policy. Cyphers leads the firm’s internal research division, conducting message testing, survey research and crafting policy papers to influence issues of importance to the select clients. • Lisa Garcia, Chief Operating Officer. An Emmy Award-winning producer and public relations campaign leader, Garcia heads up public education campaigns, internal processes and talent. • Drew Piers, Director of Campaigns. Piers leads public affairs campaign strategy, including constitutional amendments and local referenda, and also supervises targeted media buys. • Herbie Thiele, Director of Public Affairs. Thiele leads the firm’s core public affairs practice, influencing legislative issues, procurements and public policy at the state and local levels. Other key members of the leadership team include Jon Peck, Vice President, Director of Messaging and Crisis Management; Mark Pankowski, Vice President, Director of Washington Operations; Jenna Sarkissian, Deputy Director of Public Relations; and Chauniqua Major, Director of Central Florida Operations. Sachs Media Group today announced that it has been named as the national agency of record for Sonny’s BBQ®, which was recently named “Nation’s Best BBQ Chain” by The Daily Meal for the third consecutive year. The BBQ restaurant chain currently has 112 locations spanning eight states including Florida, Georgia, North Carolina, South Carolina, Louisiana, Mississippi, Alabama, and Kentucky. As the company enlarges its footprint throughout the South and other regions of the United States, Sachs Media Group will lead public relations activities to support growth in the Sonny’s franchise and nonprofit divisions. Now in its 22nd year, Sachs Media Group is a full-service, award-winning agency headquartered in Tallahassee with offices in Orlando, Boca Raton, and Washington D.C. The company recorded its best year ever in 2016, as the nationally rated and regarded firm’s work expanded in multiple areas including public affairs, research, crisis communication services, and digital/web development. The company plans to continue to grow its lifestyle, travel, and hospitality division in 2017. With 112 locations throughout the Southeast, Sonny’s BBQ is one of the largest and most popular barbecue restaurant companies in the country. Headquartered in Maitland, Fla., the restaurant chain employs more than 6,000 people. Sonny’s was founded by Floyd “Sonny” Tillman in 1968 in Gainesville, Fla., and is gearing up to celebrate its 50th anniversary next year. Robert Yarmuth, a longtime Sonny’s franchisee from Kentucky, purchased the Sonny’s chain in 1991 and today serves as Sonny’s BBQ Chairman and CEO. Award-winning Pitmaster Bryan Mroczka leads the brand’s culinary division, and is responsible for spearheading the culinary direction and R&D to support the many pitmasters located at Sonny’s locations across the United States. Sachs Media Group, Florida’s dominant public affairs communications firm, has been named Agency of Record for The James Madison Institute (JMI), Florida’s premier free-market think tank. The Sachs firm’s work will be targeted to elevate JMI’s profile in Florida and nationally by providing public affairs, public relations, digital media, targeted advertising, and strategic communications services in support of JMI’s initiatives. Founded in 1987, JMI is one of the nation’s oldest and largest 501(c)3 nonprofit, nonpartisan research and educational organizations. Hailed as a “heavy hitter” by Florida Trend, JMI has produced work appearing in every Florida media market, as well as in such national outlets as USA Today, The Wall Street Journal, The Hill, Bloomberg, POLITICO, Newsmax, and others. President and CEO Dr. Bob McClure is a highly regarded political thought leader and was named one of INFLUENCE Magazine’s Top 100 Most Influential People in Florida Politics. JMI’s already-successful media presence will be reinforced through the guidance of Sachs Media Group’s expertise in public affairs communications. Last year, leading industry publication O’Dwyer’s ranked Sachs Media Group as the Southeast’s and Florida’s top public affairs firm. The addition of JMI to Sachs Media Group’s extensive client list will further underscore the firm’s stature in public affairs communications. Sachs Media Group provides exceptional results in public affairs, branding, digital, and crisis communications. The firm combines unparalleled relationships, news judgment, messaging, and storytelling ability with cutting-edge strategies to engage audiences with content they seek and share. Sachs Media Group is home to the team best known for smart, strong, and strategic counsel across the diverse and ever-changing media landscape. For more information about The James Madison Institute, visit https://www.jamesmadison.org/. Preparing for future growth following a record year in 2016, industry-leading strategic communications firm Sachs Media Group today announced major new roles for key company leaders, Michelle Ubben, Ryan Cohn, and Lisa Garcia. Sachs named Michelle Ubben the firm’s President, following her longtime service as senior partner and Chief Operating Officer, managing a diverse staff and client roster. Sachs, as the firm’s Chief Executive Officer, will focus on top-level strategy, targeted client priorities, business development, and crisis management. Ubben is a 20-year veteran of the firm, who previously had a successful 14-year career in state government, with stints as Communication Director for the Florida Senate, the Department of Children and Families, the Department of Agriculture and Consumer Services and the Department of Insurance. Under her leadership, Sachs Media Group earned national Bulldog Awards for Small Agency of the Year, Best PR Agency for Non-Profit Communications, and was honored as one of Florida Trend’s Best Companies to Work For. The work she directed to rebrand the Florida Department of Veterans’ Affairs earned the All-Florida Grand Golden Image Award for the top public relations campaign of the year in 2012. Her work has also earned multiple Emmy Awards and a national Gracie Award. Ryan Cohn, the firm’s Vice President of Digital, was named Executive Vice President and is part of the core leadership team setting a course for the firm’s future direction and growth. Sachs Media Group acquired Cohn’s firm, What’s Next Marketing, in 2012. Since then, he has grown the firm’s social media and digital practice and has played a pivotal role in forecasting and navigating the changing communications landscape for the firm and its clients. Lisa Garcia was named Chief Operating Officer, taking on responsibility for the firm’s working processes and daily operations. Garcia also will head up the firm’s diversity and inclusion efforts. Other key members of the leadership team include Vicki Johnson, Senior Vice President of Central Florida Operations; Herbie Thiele, Vice President and Director of Public Affairs; Drew Piers, Deputy Director of Public Affairs; Jon Peck, Vice President of Public Relations; Karen Cyphers, Vice President of Research; and Mark Pankowski, Vice President, Director of Washington Operations. Among Top 100 in U.S.
Sachs Media Group deepened its status as Florida’s dominant public affairs communications firm by earning from O’Dwyer’s the prestigious No. 1 ranking in Florida and the Southeast for Public Affairs and Environmental PR. The rankings by the nationally respected organization also place Sachs Media Group among the top 10 firms in the nation for that same category, reflecting record-breaking earnings in the firm’s 21st year. 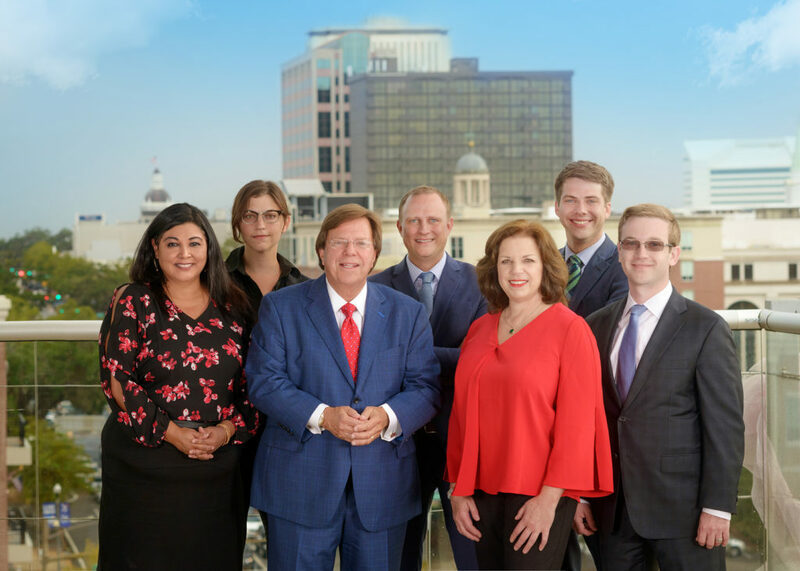 Headquartered blocks away from Florida’s state Capitol, Sachs Media Group has enjoyed unprecedented success on behalf of public affairs clients across the political spectrum, producing exceptional outcomes on statewide, regional, and national issues. The firm’s public affairs work has been widely recognized, most recently with a coveted Gold Pollie Award from the American Association of Political Consultants, the industry’s highest public affairs honor at the national and international levels. These honors for Sachs Media Group follow a 25.6 percent growth in the agency’s revenues from 2015 to 2016. This was a year of record-breaking revenue, with public affairs work accounting for one-third of all billings by the firm. Sachs Media Group is the go-to strategic communications partner for mid- to large- sized corporate, nonprofit, and government organizations with high-stakes challenges. Based in Florida with national reach, we’ve perfected the art and science of promoting issues, brands, and services. We believe in insight-informed strategy – doing the right things to reach the right audiences and achieve the right outcomes, measuring success the way our clients do. Headquartered in Tallahassee, with offices in Orlando, Boca Raton, and Washington, D.C., our award-winning team has the experience, specialized skills, and bandwidth to treat your issue as a top priority. For more information, visit www.sachsmedia.com. Filed Under: Soup Du Jour Tagged With: Florida, No. 1, Public Affairs and Environmental PR Firm, Sachs Media Group, Top 100 in U.S.